When we headed to Europe in April, we didn’t really expect to be here when the weather started to cool down. As a result, winter clothes weren’t something we brought with us. But in the last week, althought the days are still sunny and warm, the temperatures at night have started dropping. It was clearly time to go shopping for something warmer to wear than shorts and a t-shirt. The good news is that Italy is a great place to shop for clothes. So stocking up wasn’t difficult. Having looked at the photo of the clothes Jean’s comment was “where’s the colour”? So that’s something we still need to add as well as some gloves and hats. After that, bring on winter. 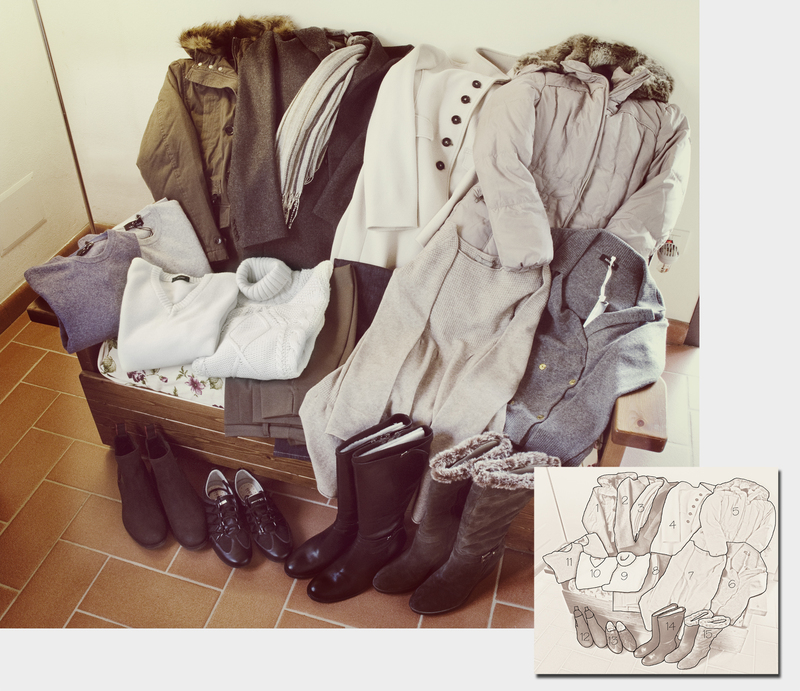 This entry was posted in Italy, Tuscany and tagged clothes, Holiday, Italian, Italy, shopping, Toscana, Travel, Tuscany, winter by toscanakiwi. Bookmark the permalink.